Note: This is a sponsored post in collaboration with Kinsta. We have been using and paying for Kinsta for 2+ years and are currently hosting all of our sites with Kinsta. If you’ve ever searched for website hosting online, you probably know how varied the options can be. With so many website hosting providers out there offering a wide variety of different services spanning a broad range of prices, knowing what’s truly the best hosting provider for your online website can be confusing. Throw beginners into the mix who don’t really know what to prioritize in a web hosting provider and factor in online blogs that recommend web hosting providers based on how good their affiliate programs are, it just makes this space even more confusing. So, putting our own two cents into the mix to help demystify some of the confusion, we’ve created this Kinsta Review to demonstrate why they’re the top web hosting provider on the market and why we have been using them for the last two years. Note: Web hosting reviews can get pretty technical — in this post we’re aiming to bridge the gap between being very technical but also understandable for the users who may not have a lot of knowledge when it comes to industry jargon or experience when it comes to web hosting services. This Kinsta Review should be an informative read for novice web hosting users as well as experienced web hosting users. 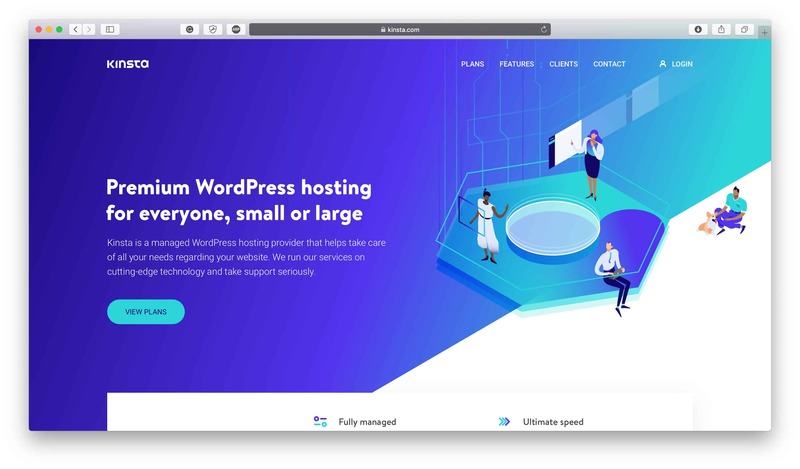 Kinsta is a WordPress/WooCommerce hosting provider for website owners looking for a managed, high-performing provider to self-host their websites. The Kinsta team are WordPress developers themselves, and we don’t just mean the founders — it runs all the way through to their renowned customer support team who are fluent in WordPress and know how to handle every situation. 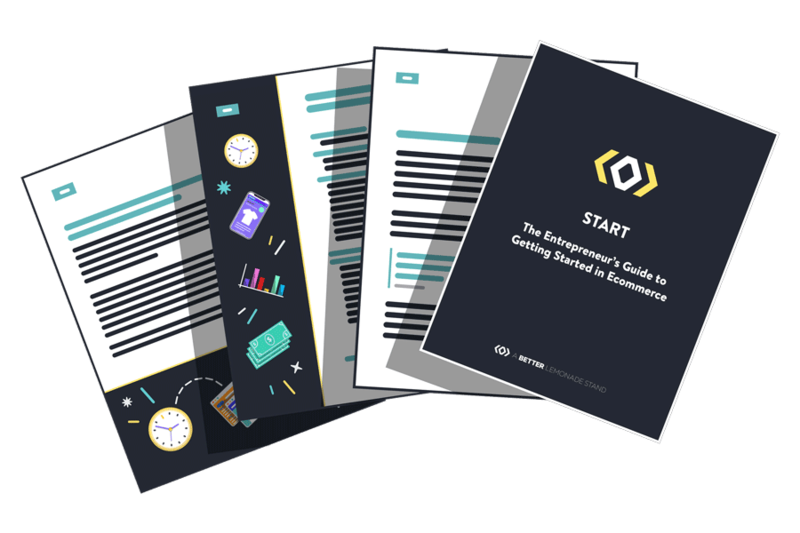 They’re WordPress made easy so you can run your business better. We love that Kinsta is a managed hosting provider which essentially means that they’ll help you with basically anything and they’ll take responsibility if there are any issues. Think of them like a concierge service that will make your stay at their hotel flawless, and they know the local area like the back of their hand so they can point you in the right direction. What Kinsta does, they do well, and they have a happy customer base to vouch for it, including ourselves. You’ll learn more in this article about why we and others prefer Kinsta’s hosting platform to any other provider on the market. Kinsta has the unique chameleon-like quality of being both a good fit for beginners but also robust enough for developers. Being a self-hosted option it’s likely to attract WordPress-savvy users who want the flexibility to code, manage, and develop their site the way they want to but by being a managed hosting provider they also offer enough guidance and features to help beginners get started. We’ve found them to be the best option for website owners who never want to think about their hosting ever again. That’s how we discovered Kinsta, and that’s why we’ve stuck with them. We wanted a hosting solution that would be as problem-free as possible and one that would stand the test of time. We’ve used several hosting providers in the past, some were okay and some were great — almost comparable to Kinsta! — but in the end Kinsta just had the performance capabilities we needed, the features we couldn’t live without, and a super awesome support team to bring it all together. Once we switched, we never looked back. Kinsta is also a hosting provider for the serious website owners out there — the ones who want results and are prepared to pay the price to get the best service and the best features. The way we see it, hosting is what keeps your website alive which is what brings traffic and revenue into your business so why wouldn’t you spend money on it? Especially considering how much you’re probably already paying for your email list. Hosting is integral to your website’s online presence so this isn’t the place to be cutting corners and Kinsta’s pricing plans reflect that. They’re definitely not the most inexpensive hosting provider by a long shot but the features, services, and support they’re able to provide because of the premium price they charge make them well worth it, in our opinion. We moved to Kinsta because we never wanted to deal with hosting again. It takes a lot to switch to and from different hosting providers so we wanted to do it one last time and just make sure we could be on this one for life. We also never wanted to wonder if there was a better host we could be with — one that was faster, better or speedier — so eventually it came down to just spending the money so we could have the best host and have the peace of mind that we were with the best hosting provider that would give us the best results. Switching to Kinsta eliminated hosting as a headache for us. It eliminated the need for us to worry about whether our website could go down unexpectedly or that we could be hacked. It meant that we didn’t have to be concerned about our website’s security anymore because they have great security features and free website restoration in the unlikely event that your website does actually get hacked. We just wanted to eliminate every single kind of problem we could potentially have with WordPress hosting so we never had to worry about it again. And so far, we’ve been very happy with Kinsta’s service. When we were originally looking to switch from our previous hosting provider, the one thing we were looking for was faster page loading. We performed a Pingdom website speed test especially for this Kinsta review to show that our site loads in under 1 second and we have a large and resource intensive site with hundreds of thousands of monthly visitors (just a small caveat to note that load times under 1 second are amazing and under 3 seconds is considered in the industry to be good). Amazon found that every 100ms of latency cost them 1% in sales, so load time is a super important metric to measure, and we’re very happy with how fast our plugin-loaded website loads. We also love Kinsta’s beautiful backend dashboard. It’s very easy and intuitive to use, and it’s not made with cPanel so we find that it has everything we need and nothing we don’t. It makes navigating around fast and we’re never confused looking for what we need. Our website hosting journey over the years has meant that we’ve tried a fair few options. With this website, in particular, we went from spending $4/month on Bluehost to $25/month on WPX to then spending $100/month on Kinsta. At this point, we’re now on a custom-negotiated Kinsta plan and although the hosts we used in the past were really great, we see ourselves sticking with Kinsta for the future. Check out case studies from the companies that use Kinsta to learn more about why they love Kinsta and the improvements they experienced since they switched. Kinsta hosts thousand of businesses from all around the world including high-traffic blogs, high-performing companies, universities, agencies such as Ubisoft, Intuit, TripAdvisor, Asos, Buffer, GE Appliances, Michigan Aerospace, Ricoh, and more. Kinsta is a managed WordPress hosting provider, meaning you get the benefits of a running a self-hosted website without having to do it all yourself. Kinsta has features built into their service like automatic backups, staging environments, page caching, and a search-and-replace tool so you can have your cake and eat it too. As part of their fully managed platform, they offer the MyKinsta dashboard which was built specifically to provide users with an overview of their site stats and analytics. 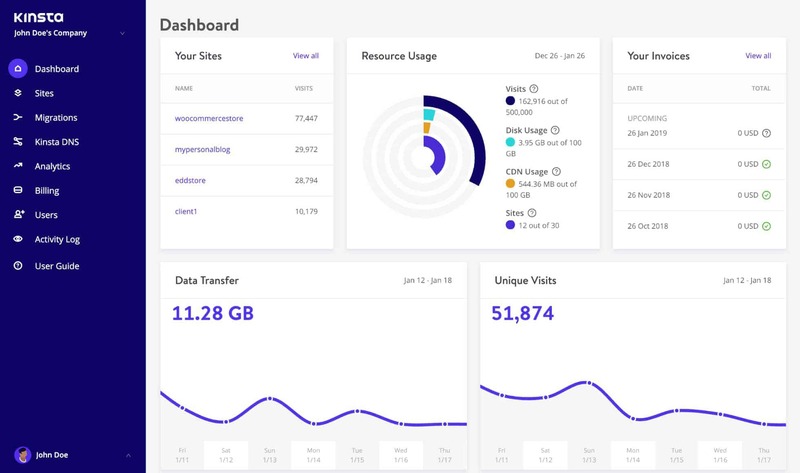 This custom dashboard was created for Kinsta and provides WordPress-specific features and tools that usually won’t be found on other hosting sites, especially ones that utilize cPanel. The Kinsta team wasn’t satisfied with the existing control panel solutions on the market, so they created MyKinsta to offer their clients an easier way to manage their WordPress sites. This is one of the main reasons why we hold Kinsta in such high regard — they weren’t satisfied with what was available already so they made something better, and something that their users will reap more rewards from. 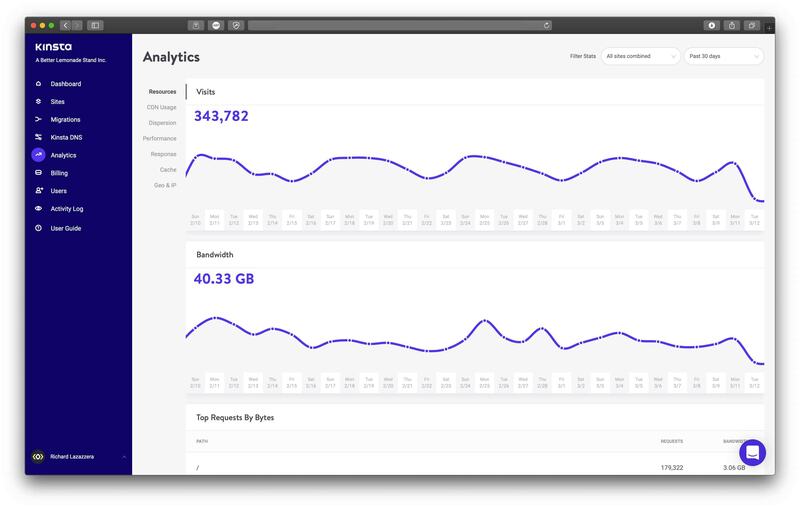 Some of the web hosting providers we’ve used in the past have very clunky and technical-looking backend dashboards which we found okay to use but incomparable to the ease of use we experience with our backend dashboard on Kinsta. Some of the features that Kinsta adds, and have added in the past, to the MyKinsta dashboard also come directly from their client’s feedback, which we really appreciate because it means they’re listening to us and what we want and need to run our websites better. We firmly believe this is because Kinsta’s founders and employees are developers and website owners too, so they understand what it means to be able to have all the right tools at your fingertips to run your store exactly how you want to. It’s invaluable, and Kinsta shows that they’re committed to providing that kind of experience for their clients. The MyKinsta dashboard is basically the control center for all your sites. You can track bandwidth, check out your statistics, create SSL certificates, track important data, and much more. It’s the guts of your site (although much more aesthetically pleasing) and gives you an understanding of what’s happening on the inside. Security always comes first because, without it, your site is open to attacks that can majorly disrupt or end its existence. You don’t want to be another one of the companies that have suffered major breaches and attacks in these past few years, so start your own commitment to security with the hosting provider you use. When it comes to self-hosting, security should be an even higher priority at the top of your list because it’s up to you to take care of. Unless, of course, you use Kinsta where security measures are built right into their service. Again, another benefit of using their fully managed hosting service. First of all, Kinsta takes a proactive approach to security which we think sets them apart from other hosting providers. 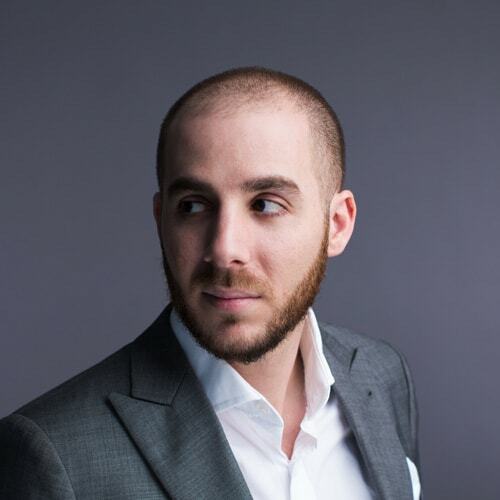 They don’t just wait around for malicious attacks to happen, they’re constantly monitoring their network for suspicious activity and investigate anything unusual before it becomes a problem. Secondly, they take both active and passive measures to stop concerning activity as soon as possible. They constantly monitor for uptime and DDos attacks plus also have software-based restrictions, SSL support, and hardware firewalls to keep their clients’ sites safe and secure at all times. Finally, Kinsta also takes responsibility in the unlikely event that a hack occurs. 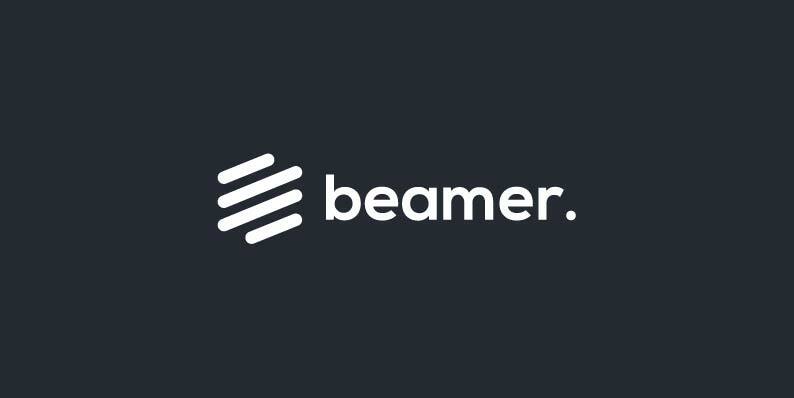 They pledge to fix any websites impacted by a breach for free as an immediate priority and they’ll restore the website back to its original working condition. These are the kind of ethics we can get behind. And their strong stance on security isn’t lost on their users. In an independent survey conducted by CodeinWP, 94.3% of users surveyed stated that they were happy with how Kinsta takes care of security on their platform, and 0% of users said they were unhappy. Already using another hosting platform? We were when we switched to Kinsta! Since Kinsta’s still a little under the radar to the layman website owner and most new site owners start with one of the more well-advertised hosting options out there, it’s not unusual for sites to be migrated over to the Kinsta platform. 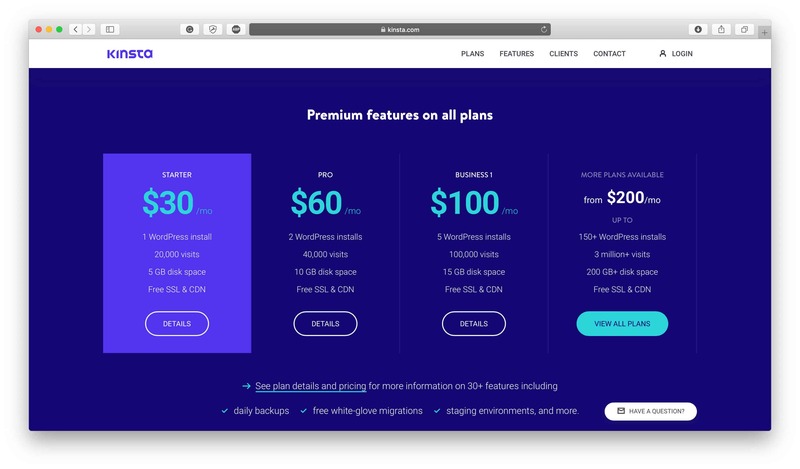 Migrating to Kinsta is free for some of their pricing plans, but not on others. Sometimes they offer a deal where it’s free to migrate depending on which platform you’re coming from, so that could be something to look out for. Regardless, migrating to Kinsta is super easy because Kinsta’s developers do all the heavy lifting for you. You can sit back and relax as they handle the coding and other necessary integration steps needed to get your site up and running on their platform. Best of all, they keep your site up while the migration happens! When we switched to Kinsta there was absolutely no downtime so we didn’t lose out on any sales or provide a lower-quality experience for our users in any way. This was super important to us because uptime plays a huge role not only in our sales but also in our SEO, which is a huge priority for our website. It would have been a huge headache for the site to be down during migration but as we mentioned above, we moved to Kinsta to reduce the number of headaches induced by our hosting provider and that was proven to us from the beginning. No headaches occurred during the migration of our site! Interestingly enough, Kinsta also cites that their churn rate is under 5% which just seems unreal. Obviously, we understand because Kinsta provides the best hosting experience in our opinion but a less than 5% churn rate is really impressive. Clearly, we aren’t the only Kinsta clients that are thrilled with their service, because most users tend to stick with Kinsta once they’ve migrated there. Incredible. Probably one of the biggest reasons why over 95% of clients who have migrated over to Kinsta’s platform don’t ever leave is because they experience such positive performance improvements like site speed. This was one of the main reasons we switched over to Kinsta and is one of the reasons why we’re staying. They stated that they hadn’t experienced performance like this on any other hosting platform they’ve tried and that their own website now loads in under one second. As part of their commitment to increasing site speed, Kinsta also takes care of caching and content delivery networks (CDN). Kinsta defines the process of caching as storing resources from one request and reusing those resources for subsequent requests so websites can load faster every time a visitor uses them. Kinsta offers caching at the server level, so you won’t have to mess around with caching plugins to make your site load faster. 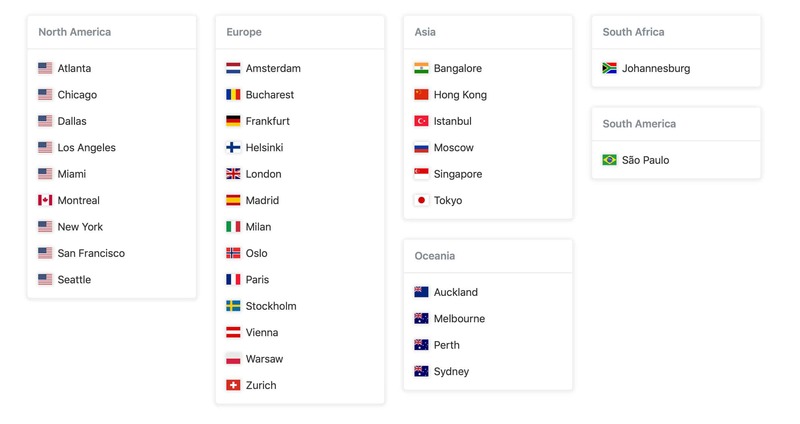 Kinsta also offers a CDN which means that even though your website’s information is being hosted in one country, copies of your website will be stored in other areas around the world so that they can get to your visitors faster than they would be able to if they were just hosted in one part of the world. Think of it this way: Even though we don’t see it, the internet still runs through underground lines and even though it travels fast it still has to travel a great distance. When you set up your website with a hosting provider you get to choose which country your website is hosted in, which makes it the most easily accessible to visitors in that country and other closely surrounding countries but it can make it slow-loading to countries far away. To combat this, content delivery networks store copies of your website in different areas around the world so that it can travel a shorter distance and load faster for visitors located in other parts of the world. This just makes for a better user experience overall and, as we mentioned above, gives you the other opportunities that faster site speed can get you like improved SEO. One of our main priorities when switching over to Kinsta was that overall, our headaches when it came to our website would be reduced. Part of that included worrying about whether our website was up or down. A website that’s down doesn’t make sales and can negatively impact our SEO, so we needed a hosting platform that could make it as much of a priority as we do. Kinsta does. They check the status of all websites that they host every two minutes which usually makes them the first to know if ever there’s an issue. Since they’re usually the first to know if there’s an issue, it also means they’re first to respond. They’ll be on the scene rectifying the issue and notifying you of what’s going on, so you don’t always have to be the one reaching out to them. Chances are that if your website goes down, they’re already there to fix before it affects a lot of visitors. Another strategy Kinsta prioritizes to keep your website safe and secure is automated backups. At least once per day, your site will automatically be backed up so you don’t have to remember to do it manually. This means that any updates or changes you make get saved and if for some reason something ever happens to your site’s content you can just revert it back to how it was the day before. They offer backups on both live and staging sites, so all of your bases will be covered. For an additional fee, you can increase the backup frequency to happen every 6 hours, which might be beneficial if you make additions or changes often. The platform that runs Google Search and Gmail also runs Kinsta. As you can imagine, Google has a huge amount of infrastructure online and Kinsta has premium access to it. This helps make their service both super fast and super secure. This provides a reliable foundation that the rest of your website will build off of. Select the data center out of their 19 (soon to be 21) regions to be your home base and that will serve as the main location to deliver your online content to your website visitors smoothly and quickly. Since Google Cloud Platform is extremely powerful, it can scale with you as your website grows meaning that you’ll never be left in the dark when your visitor levels spike. Kinsta also offers staging environments on their platform which is essentially a copy of your website on a different domain which allows you to make any edits or changes not to your live site but to the staging site. Then, with one click, you can transfer over the changes you made to the staging site to your live site. This allows you to keep your live site up and running smoothly and enables you to make major changes all at once instead of in pieces. You can also make sure all your changes look good on the staging site and work properly and fix any bugs or issues so when you move everything over to your live site with one click, there’s never any downtime and you don’t impact the user experience for the visitors on your live site. This isn’t totally unique to Kinsta, most hosting providers offer SSL certificates, but we’ll mention it anyways. Kinsta includes a free SSL certificate with their platform which is important especially if you’re an ecommerce site because it isn’t even an option, you have to have one. The difference between going to a website that’s “http” and “https” is an SSL certificate and it basically means that it’s safer and more secure to use. Everything between your customer’s browser and your website is being encrypted with an SSL certificate, including login credentials, credit card information, etc. On some web hosting platforms you have to buy an SSL certificate and then “install” it on your website, but with Kinsta it’s not an additional step you have to do, it’s something they include so it’s not complicated to install. Kinsta is renowned for its excellent customer service experience and we’ve personally experienced nothing but the best. The best part about their support system is that they prioritize WordPress experts at every level, so the customer support representatives answering your live chat messages or your emails are experienced in WordPress troubleshooting so they can guide you to a solution without having to escalate your support ticket to an upper-level manager. This helps you find a solution quickly so you can get on your way without delay. Kinsta also takes pride in the fact that their 24/7 customer support ticket response time is less than five minutes, which means help is only a quick message away at any time. 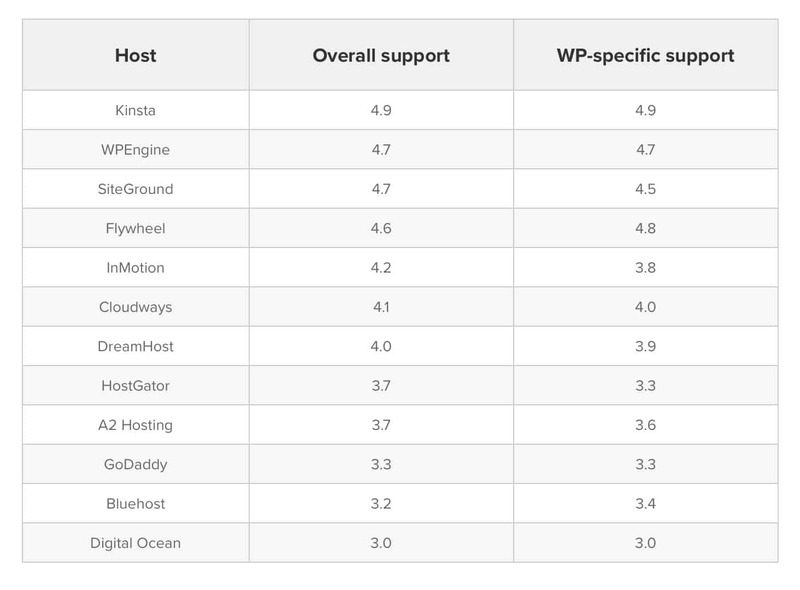 To sum it up, Kinsta constantly proves to be one of the best performing hosting providers out there and their managed hosting platform makes them accessible for beginners while their advanced features make them appealing to savvy WordPress users as well. Websites using the provider, including our own, consistently experience great results and find it to be unwaveringly reliable. Improved SEO: Websites using Kinsta see better SEO results because their websites load faster & they experience a lower visitor bounce rate. Fast Loading Times: Providing their clients with sophisticated website infrastructure, Kinsta sites load fast. Google Cloud Platform: Kinsta uses Google Cloud Platform’s premium service so Kinsta sites have powerful online infrastructure hosting their website content. Multi-User Permissions: Assign roles to different users on your team to give them access to all your websites, billing capabilities, or add them as developers or admins to your websites. Bilingual Dashboard: The MyKinsta dashboard is available in both English and Spanish. Automatic Daily Backups: You don’t even have to think about it, they just happen! You have the option to increase automated backups to occur every 6 hours on some plans. Staging Environment: Make updates and changes to your website on a separate clone of your site so you don’t disrupt your live site. Staging sites give you the opportunity to make changes, test them out and fix bugs before they go live. Near-Immediate Response Time: If a website goes down, Kinsta will be the first responder. They monitor website uptime every 2 minutes so they know instantly if something isn’t right. Beautiful Dashboard: Nothing you don’t need just everything you do, the MyKinsta backend dashboard is easy to use. Sophisticated Security: Kinsta outdoes themselves on the security front so you don’t have to worry about protecting your site. Kinsta has you covered. Developer-Lead Migration: Kinsta’s developers will migrate your website over from other self-hosting providers so it gets done right. Integrated CDN Network: Kinsta has partnered with KeyCDN so you have a content delivery network free and built in. You can use your own CDN network if you wish, though. SSL Certificate: Not to be forgotten, SSL certificates are free on all pricing plans. Excellent & Fast Customer Service: Kinsta’s average response time is under 5 minutes so you’re in good hands. WordPress Only: Kinsta only hosts WordPress/WooCommerce websites. Not the Cheapest Hosting Platform: There are cheaper web hosting options available on the market but usually you pay for what you get. No Domain Registration: Kinsta is exclusively a WordPress hosting provider. No Email Hosting: Again, Kinsta sticks to hosting WordPress websites. Not Compatible With All Plugins: Some security plugins aren’t compatible with Kinsta simply because it interferes with the security measures they already have in place. Is Kinsta worth the cost? For us, undoubtedly. We’ve never been annoyed to pay a premium price for hosting that never lets us down. Although they’re the most expensive hosting platform we’ve ever used, the service they provide and the headaches they reduce make them completely worth it. Count us in as the 95% of the users who migrated over to Kinsta that don’t plan on leaving anytime soon. If you still need more convincing, consider all the areas you’ll be saving your cash just by using their service: You won’t have to pay for an additional CDN (unless you want to), SSL certificates are free, you don’t need any additional security plugins, you won’t lose out on sales when your site is down, and time is money so with Kinsta’s super fast customer support that responds in less than five minutes you’ll be saving both time and money. All of Kinsta’s features are available on all plans, so there are no limitations to which features you have access to and with a 30-day money back guarantee, there’s nothing to lose to try out their platform. There you have our comprehensive Kinsta Review. We hope it has brought to light many of Kinsta’s powerful features and will help you decide whether it’s the right hosting platform for you. Since we switched to it we’ve never looked back and we can’t recommend them enough.